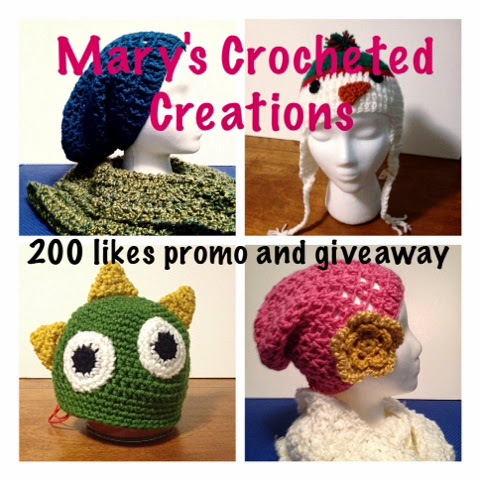 I've just reached 200 likes on my Facebook page- facebook.com/mary.crochets - and to celebrate, I'm giving away one ready made item of your choice! 'Like' my page and comment on the giveaway post with what you would like to win. 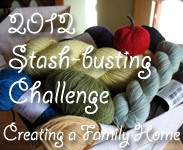 For an extra entry, 'share' my giveaway post. My ready made items are in a separate album on my Facebook page, if you are looking. I'm offering it to anyone, and I only have about 20 entries so far, so your chances are still high! 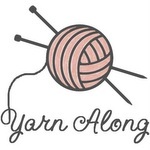 I'm also offer $2 off any item that is ready to ship for the next two weeks! Check it out, you may be a winner!